Limited time only! 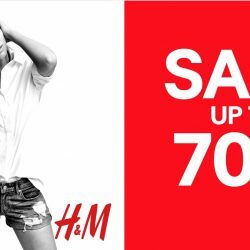 H&M Singapore: Sale Up to 70% OFF at All Stores! Enjoy up to 70% off on selected sale items now at all H&M Singapore stores! *Offer not applicable to the online store. 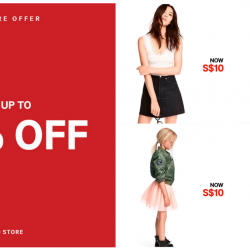 Till 4 Oct 2018 H&M: Smashing Sale with Sale Items at S$30 & Below! 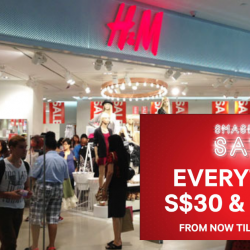 Smashing Sale from now till 4 Oct at H&M! All sale items S$30 & below! Shop now at your nearest H&M Singapore stores. Limited time only! 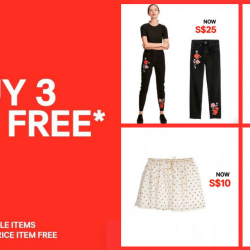 H&M Singapore: Buy 3 Get 1 FREE on All Sale Items! 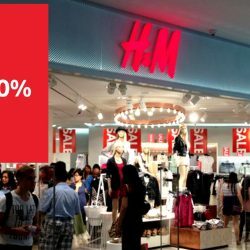 H&M's sale has just gotten hotter! All their sale items which are up to 50% off, are now on buy 3 get 1 free offer! See you at your nearest H&M Singapore store now! 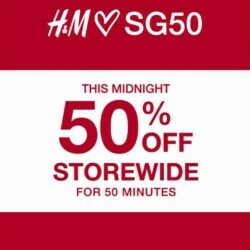 While stocks last H&M Singapore: GSS Sale with Up to 50% OFF on Selected Ladies, Men’s & Kids Items! GSS has started! H&M Sale starts now, up to 50% off on selected Ladies, Men's and Kids items! * Available at all H&M Singapore stores. 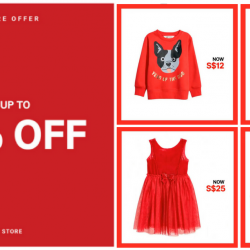 H&M Singapore: Buy 3 Get 1 FREE on All Sale Items! In-store offer! H&M Sale starts now, up to 50% off on selected Ladies, Men's and Kids items! Available at all H&M Singapore stores. Offer is not applicable to the online store. Time to shop! Limited time only! 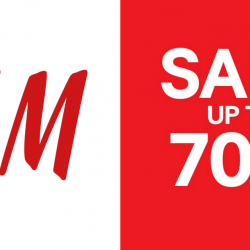 H&M Singapore: Further Markdowns Up to 70% OFF at All Stores! Sale is not available online. 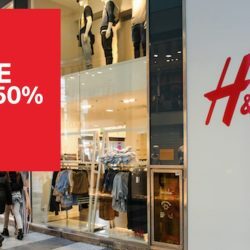 Limited time only H&M Singapore: Sale Up to 50% OFF at All Stores! Sale up to 50% off starts now at all H&M stores! Shop Ladies, Mens and Kids sale items at your nearest H&M store! Offer is not available on online store. Sale is on at H&M! Selected items up to 50% off from Ladies, Mens and Kids available at all H&M Singapore stores now! 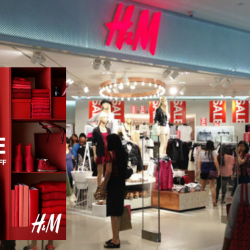 Check out your nearest H&M store in Singapore and shop the sale now! Sale just got even better at H&M! Selected items up to 70% off from Ladies, Mens and Kids available at all H&M Singapore stores now! Check out your nearest H&M store in Singapore and shop the sale now! Sale is now on at H&M with up to 50% off on selected Ladies, Mens and Kids items! 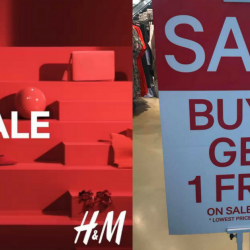 Check out your nearest H&M store in Singapore and shop the sale now! H&M's GSS Sale just got even better! Get selected items at up to 70% off! Shop at your nearest H&M store in Singapore now! 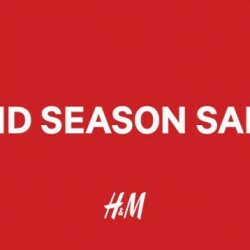 This just came in a while ago, H&M has just announced their Mid Season Sale starting today available at all their stores. Expect lots of bargains on their past season and clearance apparels and accessories. 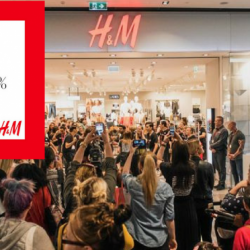 H&M is offering: 1st 150 customers in line get a H&M gift card (1 winner walk away with $200 H&M gift card) and 15% off with $60 & more spend. FREE H&M tote bag with a min of $80 spend. Opening special buys at $2 , $5 & $10. Receive a H&M pouch with min. $70 spent. Time: 27 Jun. 2014, 10AM-10PM. A new H&M outlet is opening @ One Raffles Place! And we know what you are expecting for --- SALES! Yes, H&M @ One Raffles Place is rewarding the first 200 shoppers with the chance of winning S$200 cash vouchers! If you are not able to get in the queue, you can still enjoy buying 2nd item at as low as S$2, S$5, S$10. Furthermore, you’ll be receiving an exclusive H&M card holder with a minimum spend of S$70, available while stocks last! The promotion lasts from 29 May to 1 June 2014. 29 May to 1 June 2014.